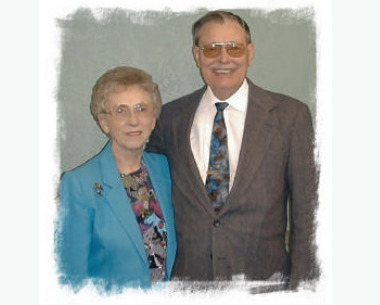 Life Christian Center was founded in 1976 by Pastor Keith and Alice Hendrickson. In September of 1976 the church began meeting at the Oak Tree Farms Clubhouse. Then in 1978 ground was broken on the site where the church remains located today. After 23 years of dedication and faithful service Pastor Keith and Alice desired to retire and pass the baton onto a new pastor. On Sunday November 14, 1999 Bill Virgin officially stepped in as the Pastor of Life Christian Center at which time the Hendricksons remained members as well as a vital part of the staff. In August of 2004 our founder and faithful member, Pastor Keith, graduated into eternity to be with the Lord. We will miss him but look forward to seeing him again. Alice continues to be a vital part of this Ministry. The church has been abundantly blessed and continues to thrive and grow as a part of the Lee's Summit community. Pastors Bill and Laurie have been in the ministry for over 26 years. Bill attended Boise State University and later met his wife Laurie at Christ For the Nations Institute where they both graduated. Bill went on to receive his Doctorate of Theology degree from Jacksonville Theological Seminary. Bill and Laurie felt God begin to move them in a new direction. In the fall of 1999 after a period of traveling and itinerate ministering, they answered the call to pastor Life Christian Center in Lee's Summit, Missouri; where they have experienced God's tremendous favor as they continue to build His kingdom. Bill and Laurie desire to see every member achieve their God given purpose and be planted and rooted deeply in His Word. Bill and Laurie have been married for 36 years and they have four daughters Abigail, Joy, Aimee and Lindsay.